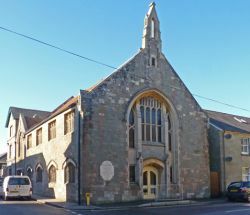 Bell Street United Church (Methodist & United Reformed) is an active church in Shaftesbury, an historic hilltop town. We are a family church offering a warm welcome to people of all ages. As a town centre church we also reach out to people in the community, in need, especially with baptisms, weddings and funerals. These pages will give you a brief introduction to what we do. Should you wish to know more then why not get in touch with us.